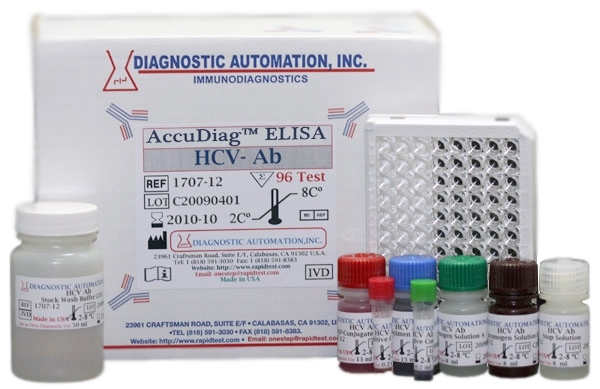 H pylori IgM ELISA kit |CE-GMP| 818-5913030-USA. 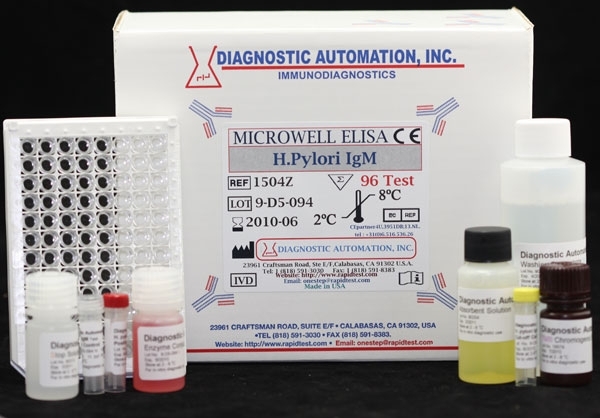 Diagnostic Automation offers H. pylori IgM ELISA kit for evaluating the serologic status to H. pylori infection in patients with gastrointestinal symptoms. 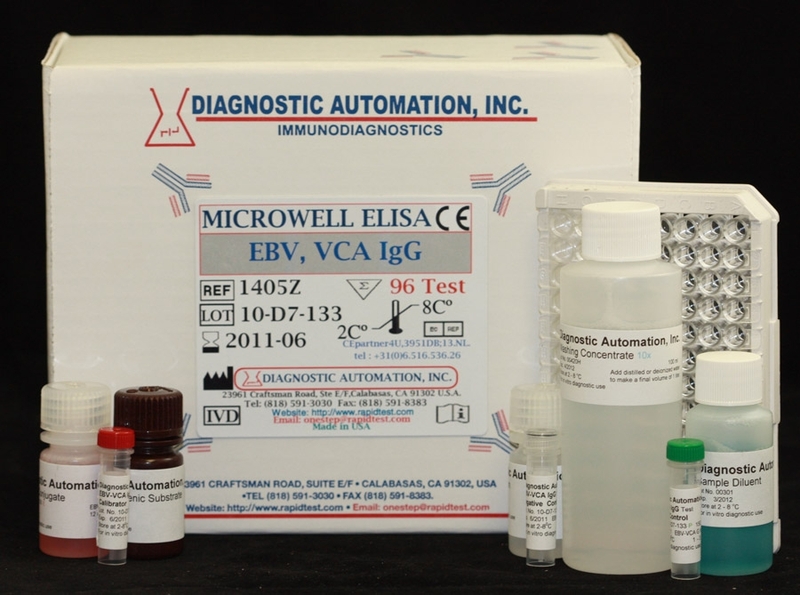 H. pylori elisa testing the presence of H. pylori specific IgM antibody is the technique of choice for serologic tests because of its accuracy and simplicity. Purified H. pylori antigen is coated on the surface of microwells. 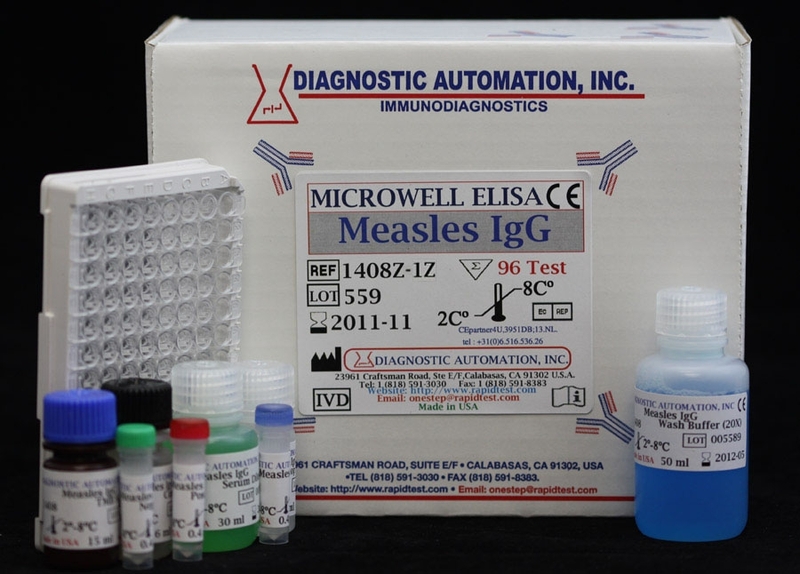 Diluted patient serum is added to wells and H. pylori IgM specific antibody, if present, binds to the antigen. All unbound materials are washed away. After adding enzyme conjugate, it binds to the antibody-antigen complex. Excess enzyme conjugate is washed off and TMB Chromogenic substrate is added. The enzyme conjugate catalytic reaction is stopped at a specific time. The intensity of the color generated is proportional to the amount of IgM specific antibody in the sample. The results are read by a microwell reader compared in a parallel manner with calibrator and controls. Negative: H. pylori M Index of 0.90 or less are seronegative for IgM antibody to H. pylori. 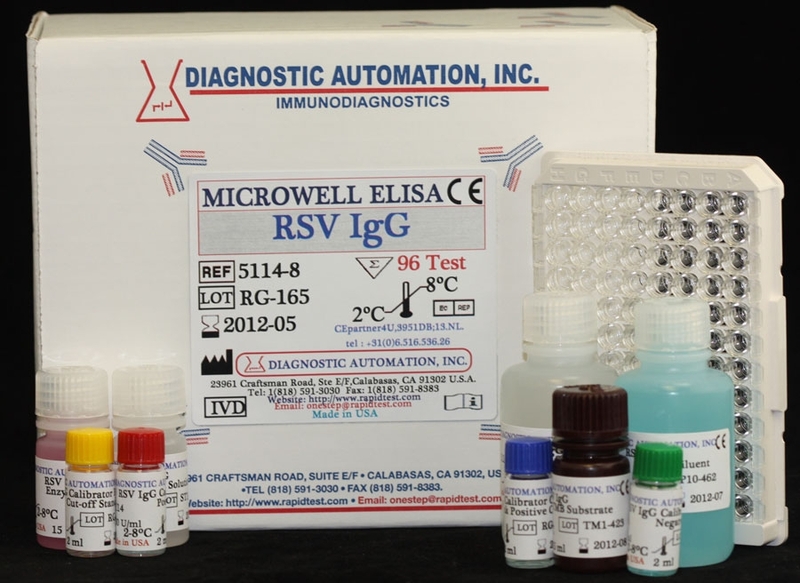 Our H. Pylori IgM ELISA kit has high specificity and sensitivity. The most recent study shows that oropharynx constitutes an extragastric reservoir of H. pylori infection. This reservoir could serve as an aetiopathogenetic factor for chronic tonsillitis and tonsillar haperplasia.